MS SQL Server database is one of the advance relational database management systems that is generally used by organizations and professionals. Its improved user interface and features of SQL Server makes it a useful database application for managing large amount of data. Although the usefulness of this application, the database created by it are prone to corruption of data, which results in inaccessibility of data. In the following section, we will be discussing the SQL Server Database corruption causes and its resolution using manual method and SQL Database Recovery Software. SQL database can be damaged or corrupted because of the various reasons as mentioned below. One of the SQL database corruption cause is SQL page corruption. 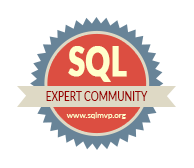 All the information of SQL Server stored at page level. Page is a basic unit for data storage and the basic level of I/O operation in server. It contains data or all the details about the physical layout of data. In some cases, the pages in the database get damaged, which stores feasible data to preserve the DB constantly running. It has same layout for storing all the SQL database pages. It contains the page header of 96 bytes and body of 8096 bytes. If any inconsistency occurs in these pages, it may lead to partial or inaccessibility of SQL database. As these pages are either stored in them or acts as pointer to other pages. A missing page may disturb the index of database and results in page corruption. Every SQL database page includes a header, which retains the control over the way of information stored in the page. There are some fields of header, which helps to test the consistency of storage structures. Some of them help to provide a smooth navigation to pages, which makes up a table. Clustered: A database only have one cluster index as it helps in physical sorting of DB. Non-Clustered: There are up to 249 non-cluster indexes in a table or view. It provides pointer to corresponding index point instead of sorting database. Therefore, if there is any damage in cluster or non-cluster index results in partial or entire data loss. Boot page is similar to the file header, which gives the Meta data information. However, instead of giving an information related to data, the boot page gives an information about the database. It is located in the first data file at page 9 of the database. It saves all the information such as date of creation of database, database ID, compatibility level, etc. It helps in systematic consistency database checking. In many cases the main SQL Server database corruption causes is at I/O sublevel system, i.e. the problem arises with the drivers, controllers, or drivers. Therefore, it is suggested firstly to check for hardware related issues. There is an inbuilt utility, i.e. Transact-SQL command, is available that helps to check the consistency of database. It is also known as DBCC CHECKDB. It helps to tests the DB for physical and logical corruption level. It checks links between pages, index pointers, structural content, index pages etc. In the above discussion, various SQL Server database corruption causes are discussed that makes easy for users to understand the reasons of corruption. Along with it, a solution is discussed to resolve it, i.e. inbuilt utility. According to experts if user fails to resolve the large sized database errors then they can use SQL Database Recovery Software to resolve the error occurrence.